The Honda Certified Pre-Owned Program makes shopping for a pre-owned vehicle easy and worry-free. Honda Certified Pre-Owned (CPO) vehicles certainly stand out from the crowd. Each time we place a CPO Honda on our lot, you can trust that it’s undergone a rigorous process to get there. It starts with a comprehensive inspection by one of our highly-trained Honda technicians. Only vehicles within a certain mile radius and age-range can be Certified Pre-Owned. During the multipoint inspection, our technicians look at the exterior, interior, and under the hood. Plus we’ll inspect the brakes and tires and underneath the vehicle. Once a car passes the 182-point inspection, it will be certified and on its way to our Pre-Owned vehicle showroom. When you purchase a Honda Certified Pre-Owned vehicle, you can rest assured that you’re getting a great vehicle, worry-free. 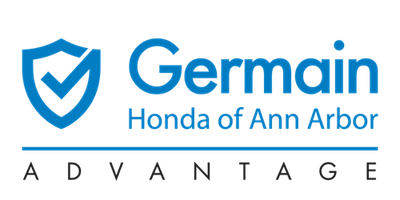 Powertrain Coverage – The Honda Certified Pre-Owned Vehicle Limited Warranty provides powertrain coverage for 7 years*/100,000 total odometer miles (whichever occurs first). *From original in-service date. See dealer for limited warranty details.